This brutal attack comes nearly a year after the Khan Shaykhun chemical attack in April of last year. 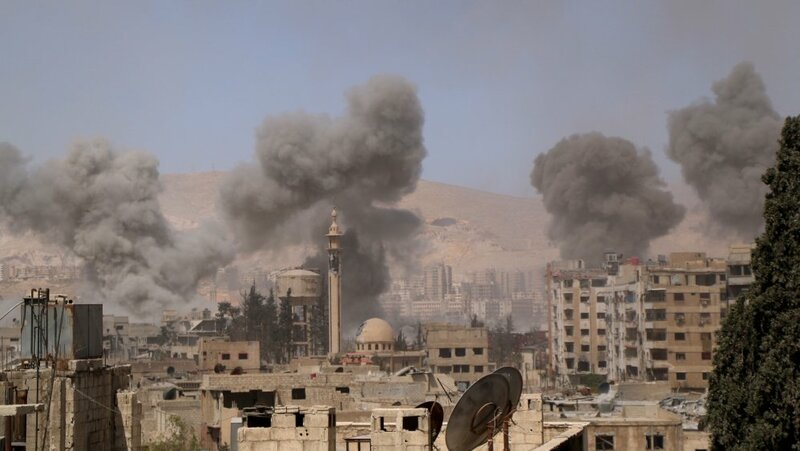 These attacks, among others such as the infamous Ghouta chemical attack in 2013, not only prove that President Assad and his forces are serial offenders when it comes to chemical and biological warfare, but that they continue to murder with impunity. The Muslim Association of Britain calls on our government and the international community to unite in condemning these war crimes and work to prevent them from ever recurring. It is clearly unacceptable that justice is denied to the Syrian people, and those who collaborate to deny them such justice must be brought to task and held responsible for the crimes being committed on a daily basis.